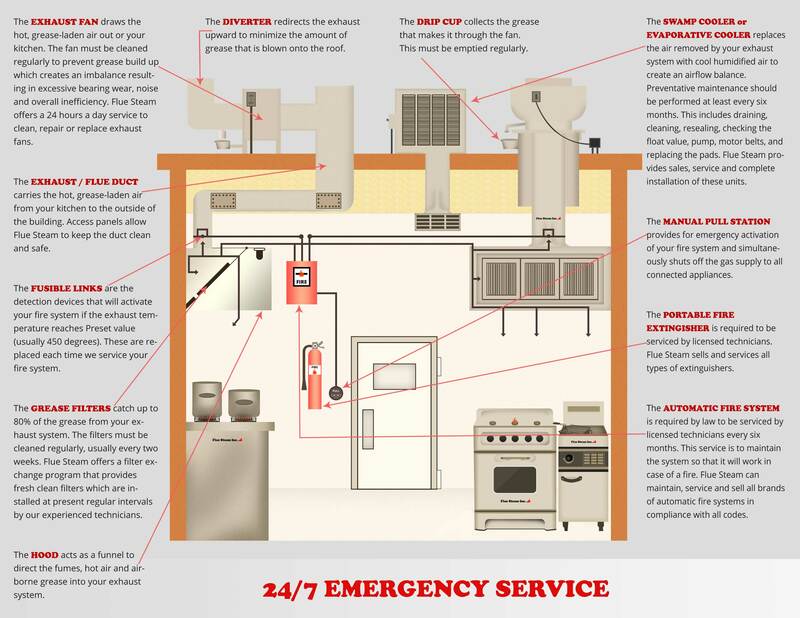 While having fire prevention measures in your restaurant is essential, nothing can guarantee a fire won’t start. For this reason, every business, especially kitchens, should have the right fire extinguisher ready at all times. Fires are classified differently depending on what is being burned, and different fire extinguishers are built to combat specific types. For example, a Class A fire is fueled by solid materials like wood, cloth, paper, and plastic. Technically, a camp fire is a Class A fire. Restaurants with wood-burning stoves are at risk for these types of fires. Class B fires involve flammable liquids like gasoline, tar, petroleum grease, and lacquers. Fires involving electrical circuits are considered Class C fires, while Class D fires are fueled by combustible metals like magnesium or potassium. Knowing which fires present a risk to your restaurant, and having the right extinguisher, is very important. 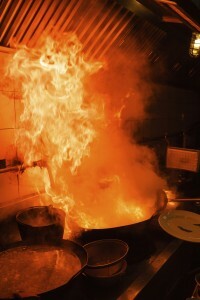 A Class K fire involved cooking oils or fats, and it is one of the most common types of fires in restaurants and kitchens. Therefore, having a Class K fire extinguisher, which contains a blend of potassium acetate and potassium citrate, is essential for any restaurant. One of the biggest dangers in a kitchen fire is splashing hot oil, but a Class K fire extinguisher sprays a mist to gently suffocate the fire. The chemicals from the extinguisher also create a barrier between the heated oil and oxygen so a fire can’t reignite. It’s not enough to simply have a Class K fire extinguisher. Everyone on the restaurant’s staff, from the general manager to the newly-hired waitress should be trained on using the extinguisher. Local fire departments will often hold training sessions, and sending your employees, especially your kitchen staff, to these events could some day save your restaurant and could possibly lower your insurance rates. Most people, especially restaurant owners and managers, are aware that fire extinguishers have a shelf life and will need to be serviced within a set amount of time. Knowing when your fire extinguisher is set to expire is important, but there are also some situations that require immediate attention. First and foremost, if it has been used, it should be serviced to ensure that it still has enough pressure and chemicals. If the nozzle or hose look worn, or if the handle is wobbly, you may have a problem. If the locking pin is missing or unsealed, or if the inspection sticker or tag is missing or incorrect, don’t wait for an inspector to find out, get it replaced or serviced immediately. Contact Flue Steam today to learn more about our fire safety services, including replacement and service for fire extinguishers of all types. You can have the right item for your restaurant, so give is a call today.